Living a Fit and Full Life: Out Perform the Rest with Revlon this Holiday Season! 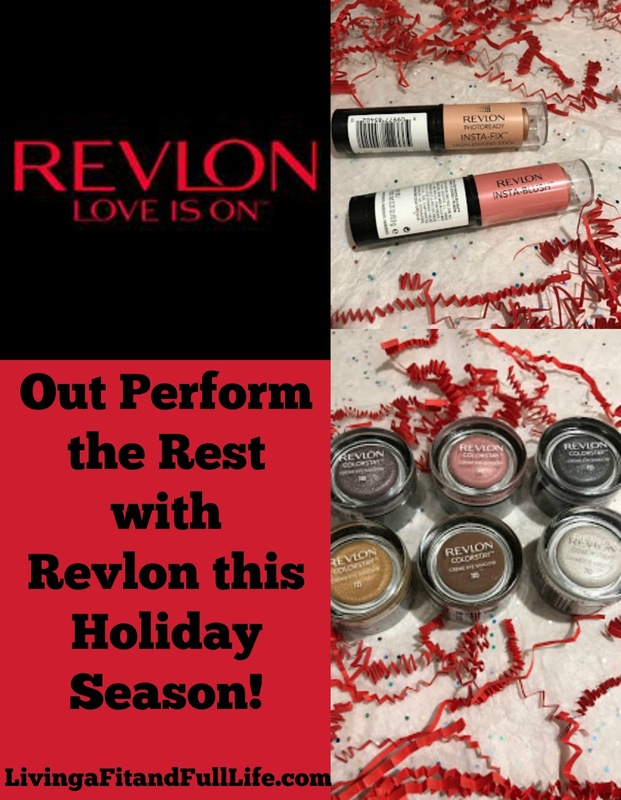 Out Perform the Rest with Revlon this Holiday Season! Revlon was founded in 1932, by Charles Revson and his brother Joseph, along with a chemist, Charles Lachman, who contributed the "L" in the REVLON name. Starting with a single product - a nail enamel unlike any before it - the three founders pooled their meager resources and developed a unique manufacturing process. New ColorStay Brow Pencil with an angled tip to precisely fill, and a brush to tame for a sculpted brow. Our new waterproof kajal liner features an angled tip for easy application and a smudge brush for a smoky eye. In 4 sultry shades. Highlight instantly with this mistake-proof stick. In two gorgeous shades, perfect for highlighting on virtually any skin tone. Formula with light filtering technology delivers a professionally re-touched look. Use with PhotoReady Insta-Fix™ Makeup to get a mistake-proof contoured look. Smooth, flexible formula coats lashes for clump-free separation. Create countless makeup looks with just one palette. Universally flattering shades of our best selling eyeshadow, blush and lipcolor. Available in 3 expertly coordinated shades. Luxurious, longwear crème eye shadow with a pro-inspired built-in-brush designed for easy, mess free application. Wears up to 24 hours. Get high-definition, lightweight color with NEW Ultra HD Gel Lipcolor. Intensely hydrating formula with hyaluronic acid. Available in 15 high-definition shades. 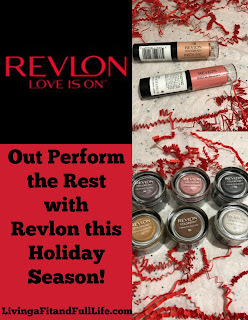 Out perform the rest with Revlon this holiday season! With the holiday season in full swing many women are looking to freshen up their look for all those upcoming holiday party's they'll be attending. I know I like to look my best especially at holiday parties and thanks to a few new finds from Revlon I can do just that. REVLON'S NEW COLORSTAY™ BROW PENCIL is amazing! I've neglected my brows for years but have finally figured it out. With Revlon's New Colorstay Brow Pencils you can select the perfect shade to match your brows. Another thing I love about Revlon's New Colorstay Brow Pencils is that the color stays put. I have this bad habit of rubbing my eyebrows and then they tend to end up all over my face but with Revlon's New Colorstay Brow Pencils the color seemed to stay right where it should. Revlon's New Colorstay Brow Pencils are the perfect way to achieve the brows we all desire! REVLON COLORSTAY 2 IN 1 ANGLED KAJAL™ SOFT WATERPROOF KAJAL + PRO LINER BRUSH is phenomenal. I love that the tip is angled for easy application and that it's water proof so it stays on through just about anything. I also love that has a smudge brush because I find my eyes look much brighter when I smudge my liner. This is a terrific product and is sure to give you bright eyes this holiday season! REVLON PHOTOREADY INSTA-FIX™ HIGHLIGHTING STICK is the quickest and easiest way to highlight. I love how easy it blends and that it's small enough to carry with me for touch ups! REVLON INSTA-BLUSH™ is also a breeze to use and is sure to add just the right amount of blushing color to your cheeks. It goes on easily and blends well. REVLON VOLUME + LENGTH MAGNIFIED™ MASCARA is one of my favorite mascaras. I love adding both length and volume to my lashes and this mascara does an amazing job at doing just that. I also love that there's no clumps and it seems to help curl my lashes. REVLON DRAMATIC DEFINITION™ MASCARA is amazing! If you hate clumps but love results, this is the mascara for you. The brush separates every single lash and leaves a clump free beautiful finish. REVLON EYES, CHEEKS + LIPS™ PALETTE is your all in one palette. The shades are extremely flattering and all seem to blend very well. I love that this is an all in one palette that would be perfect for travel or carrying in your purse for touch ups. REVLON KISS™ BALM instantly hydrates and smooths my lips. I also love the fresh fruit flavors and SPF 20 protection it offers. REVLON® COLORSTAY™ CRÈME EYE SHADOW is awesome! I LOVE the colors and how easy it is to apply. Revlon Colorstay Creme Eye Shadow stays in place, blends well and looks amazing! REVLON ULTRA HD GEL LIPCOLOR™ is superb! I love the rich color of each shade and how well it stays on my lips. Revlon Ultra HD Gel Lipcolor does an amazing job at hydrating my lips and seems to make my lips look healthier and healthier with each use. Find you favorite Revlon products and look your best this holiday season! Click HERE to learn more about Revlon! 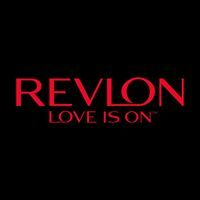 Follow Revlon on social media!